Picea pungens 'The Blues' is a strongly weeping selection of Colorado spruce with drooping branches and branchlets. 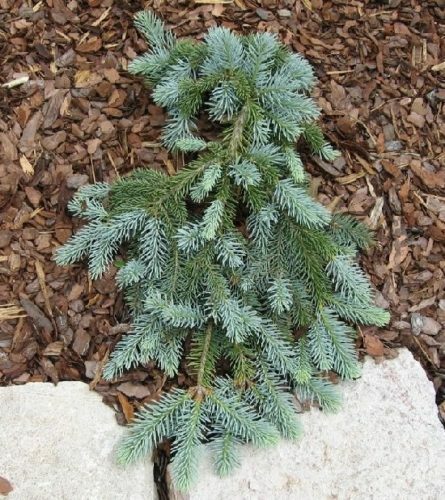 Imagine a weeping Norway spruce but with larger, bright Blue needles and you'll have an idea of this plant's potential in the landscape. The plant has to be staked to desired height, then allowed to ramble, eventually becoming horizontal with all branches cascading downward. An relatively fast-growing plant, 'The Blues' will increase at a rate of about 1 foot (30 cm) at the terminal leader every year. This cultivar originated 1982 as a side sport on 'Glauca Pendula' found by Larry Stanley at Stanley & Sons Nursery, Boring Oregon. 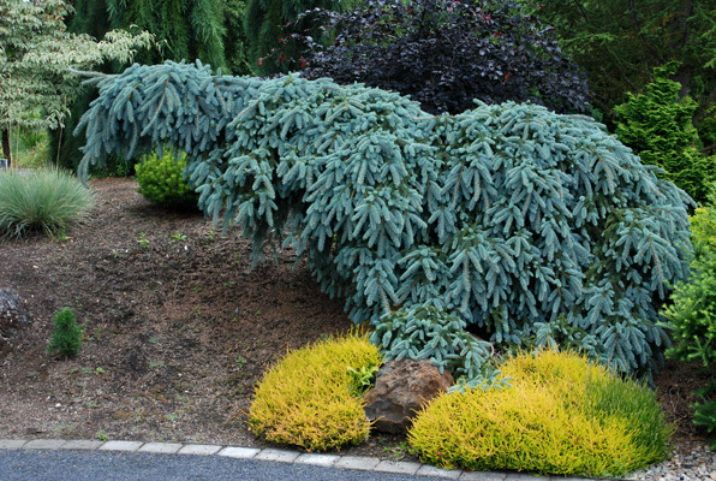 It was one of two plants selected in 2008 for the ACS Collectors Conifer of the Year Program. 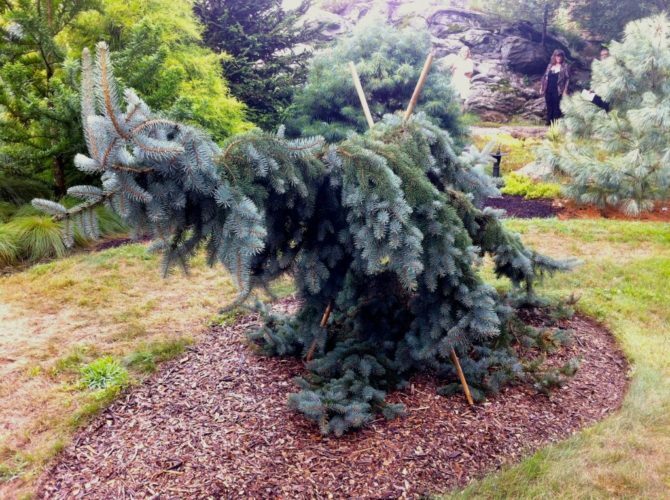 Picea pungens 'The Blues' 2007 Donation. The Larned garden in Stamford, CT, visited during the 2013 National Meeting. Picea pungens 'The Blues' at the ACS Reference Garden, Oregon Garden, Silverton. This is how the cultivar is best displayed.